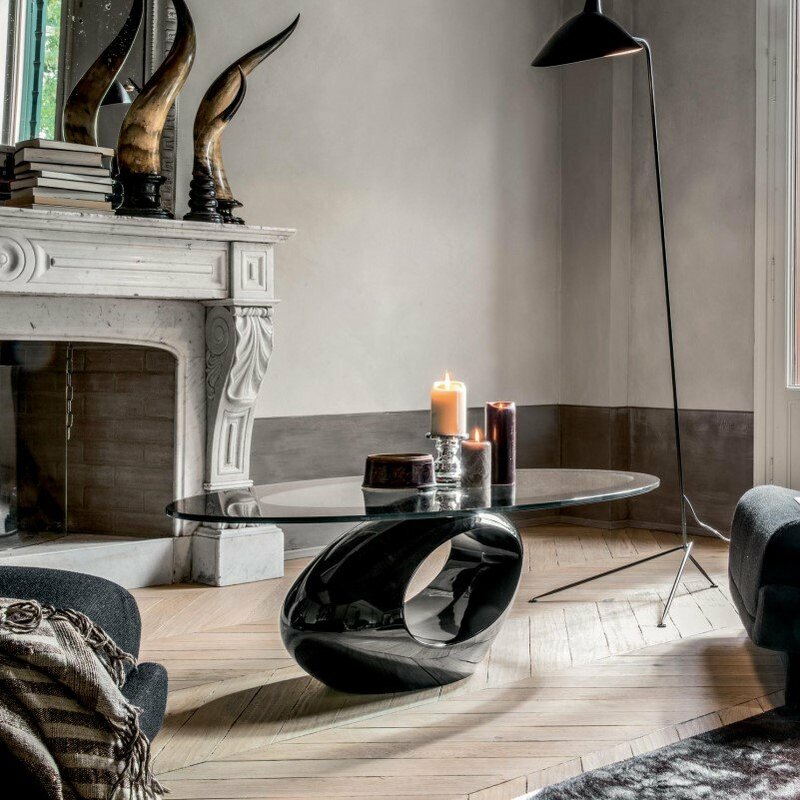 Dubai's magnificence was brought to this contemporary, luxurious coffee-table; the cultured marble base, shaped in a round and smooth pattern, holds a tempered glass top. 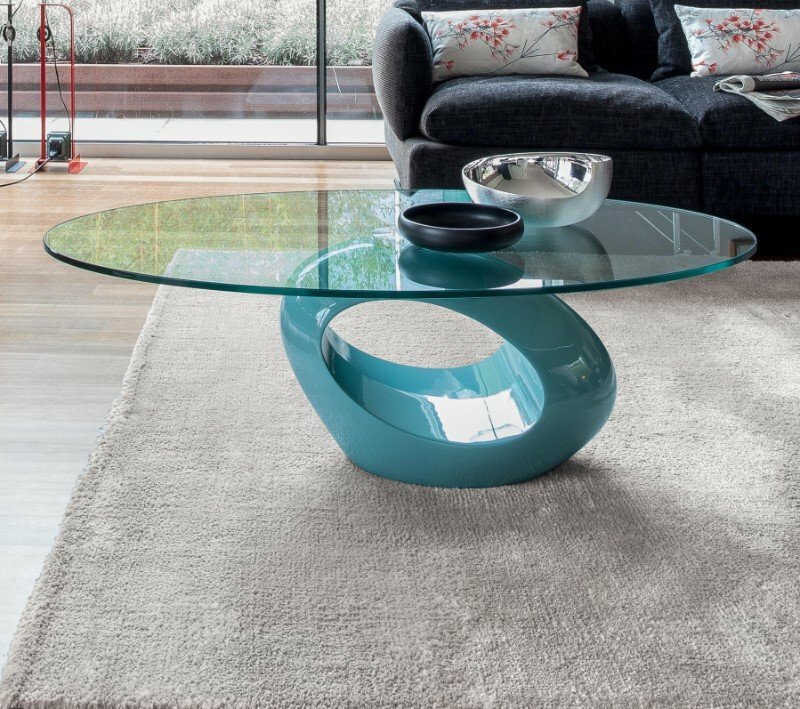 The base is available in a wide range of colors and the top is available in transparent or lacquered glass. Please contact us for pricing on options other than those priced here.